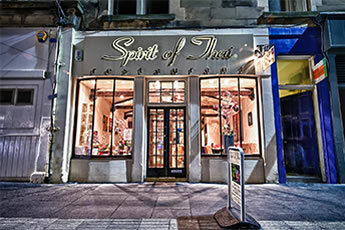 Spirit of Thai opened to a fanfare of rave reviews in the summer of 2006 and has since established itself as a firm magnet for Thai food lovers. The restaurant is conveniently situated in the heart of Edinburgh’s theatreland, just a stone’s throw away from the Lyceum, Usher Hall and the Filmhouse. Its location is perfect for enjoying a relaxing meal before or after shows and concerts to round off an unforgettable evening. Spirit of Thai’s interior decor is a subtle blend of the traditional and the modern, with tiled floors, magnolia walls and wooden ceiling beams creating a calming cottage feel, where customers can enjoy an authentic Thai meal in a tranquil atmosphere. 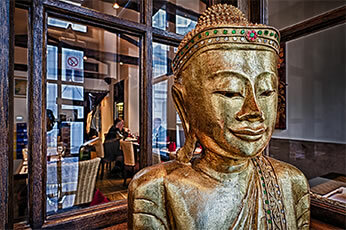 The warmth of the service and surroundings extends to the exotic, aromatic food. 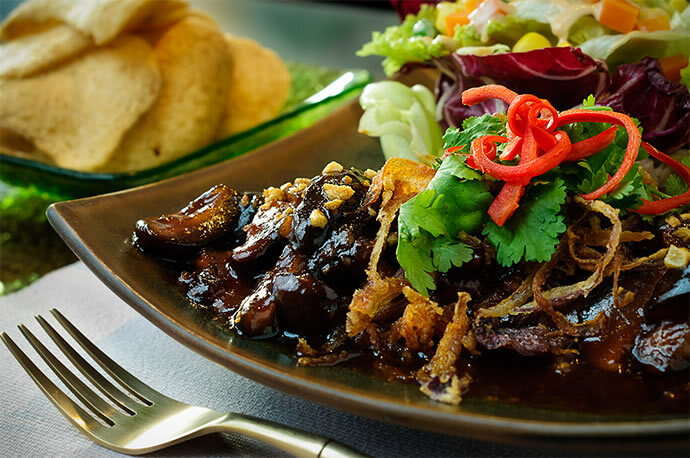 Each dish on the extensive menu is clearly and accurately described, and the welcoming staff are always on hand to offer customers advice and recommendations if needed.